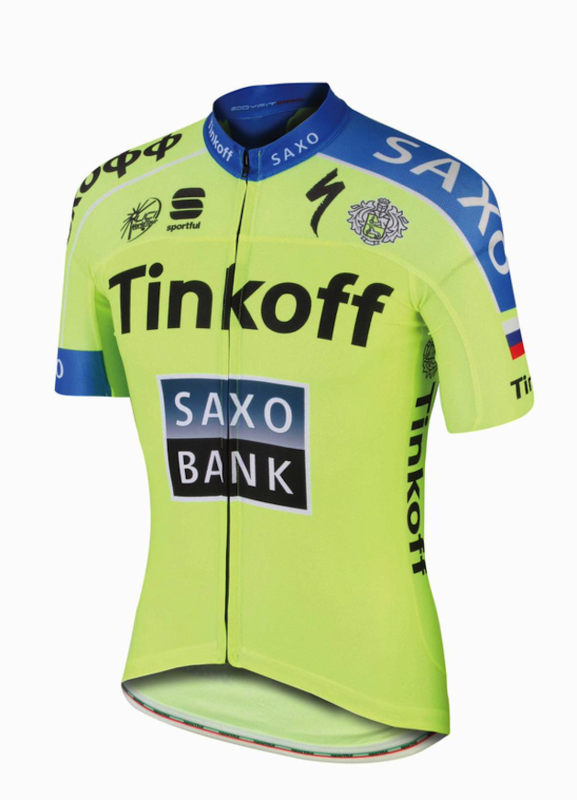 Tinkoff Saxo released their 2015 jerseys today, and they look remarkably similar to their 2014 edition. Backed by Russian billionaire Oleg Tinkov, Bjarne Riis’s team have recruited heavily for the new season, with signings such as Peter Sagan and Ivan Basso now seen sporting their new attire. Although technically not allowed to pull on his new team’s kit until January 1, Sagan can be seen looking quite smug with his new Slovakian national champion colours. At Cannondale, Sagan had to settle for a couple of coloured stripes on his green kit to show he was his country’s top rider, but the three-time Tour de France green jersey winner now has his own white, red and blue top to wear. For Contador and co, the bright green theme continues, with a hint of Saxo Bank blue on the shoulders and shorts, meaning they will continue to be easily recognisable in the peloton next season.